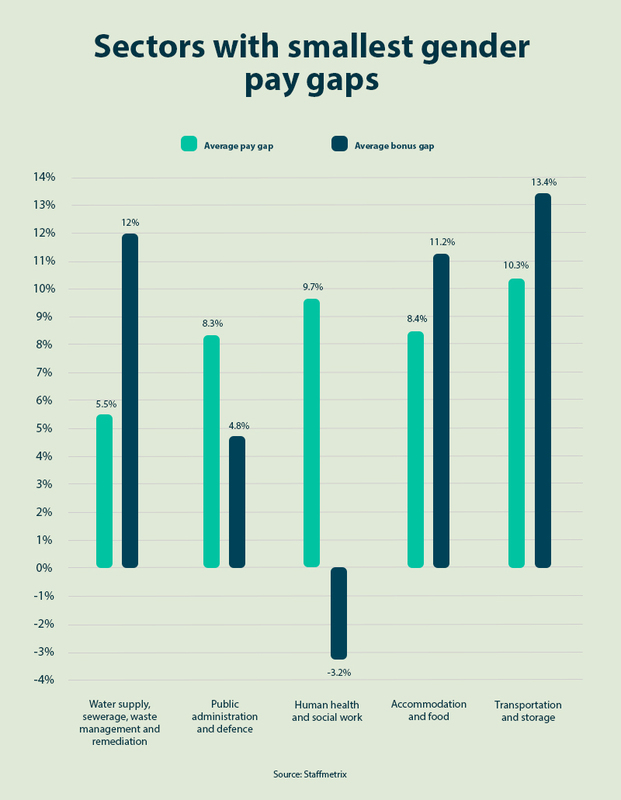 With a greater awareness surrounding the gender pay gap, many women are looking for a place to live that gives them a better wage and quality of life. Although women have more opportunities than ever before, moving for a new career is still a huge decision. 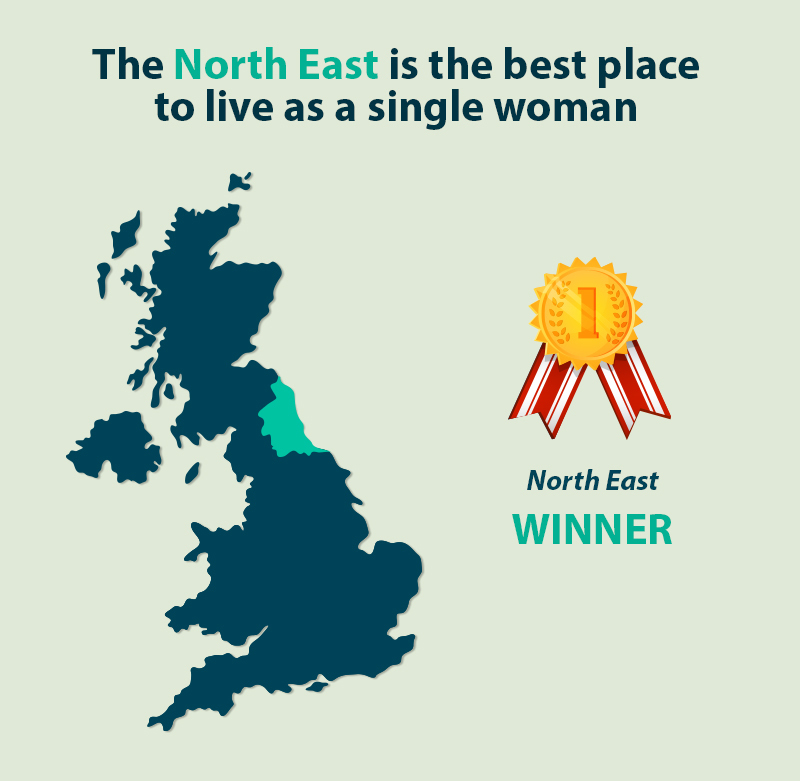 Our research has discovered that the North East is the best place to be a woman, read on to discover why. It might be assumed that the best cities for women are all in the south, where the average salary is higher. However, from research by Adzuna, we can see that this isn’t true. Cities like Newcastle, Belfast, Glasgow and Wolverhampton all have low pay gaps and offer women the best chance of earning the same as their male counterparts. Aside from the city-based research, a series of stats from the Office of National Statistics found the county with the best wages for women is Gwynedd in Wales. There is a wage gap in favour of women – they earn an average of £2.29 per hour more than men. Looking at location alone can feel overly simplistic. After all, it’s not just about location when it comes to pay. It could be that your sector pays women particularly low wages. So which industries are performing the best? Buying property can feel near impossible in today’s market. However, a recent study by Santander has found that those who buy rather than rent, are on average £27,000 better off over a mortgage lifetime. However, buying a home when you’re single can be far more difficult than when there are two of you to gather the deposit. 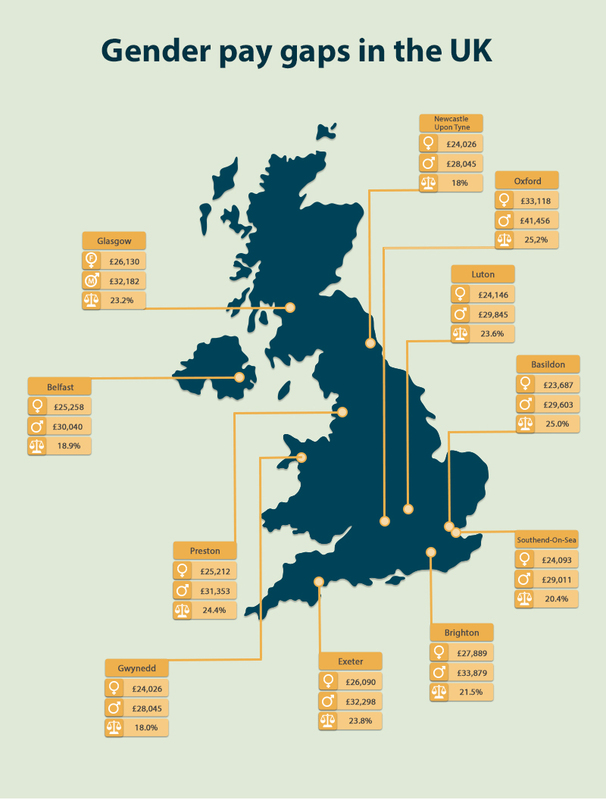 The average UK house price is currently £214,700 but the price varies massively from city to city. Which cities really offer the best deals on housing? According to Home Track, Glasgow offers the most affordable housing with the average house price £122,900. The next most affordable housing is in Newcastle, with an average cost of £126,100. North Tyneside offers the most affordable housing in proportion to income, with the average new buyer needing to set aside 11% of their income to pay their mortgage. It’s perhaps unsurprising that the most expensive places for single buyers are further south with Cambridge being the most unaffordable. 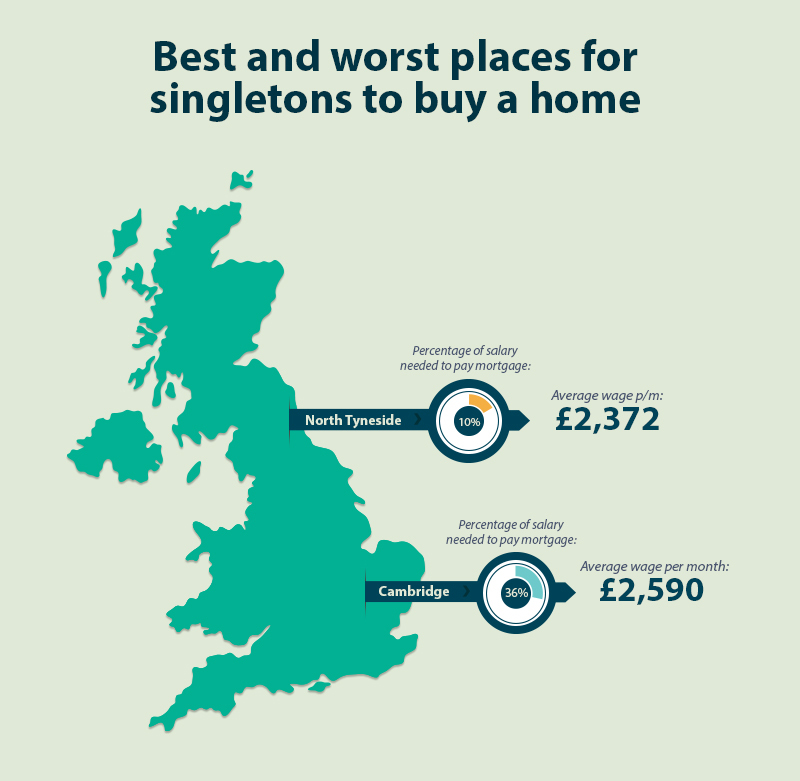 To buy a home as a single buyer would require over a third of the average income for Cambridge residents. Although not every woman wants to have children, it is good to keep options open when moving to a new location. The UK has some of the most expensive childcare in the world, with costs rising by 48% in the last 10 years, this means that they have risen seven times faster than wages. It is perhaps unsurprising that childcare is most expensive in the capital, with prices rising by an eye-watering 59% in the last ten years. The average cost of nursery varies greatly across the country. And although there is help for parents, it can be helpful to consider the proportion of your monthly wage which you might need to spend on childcare. 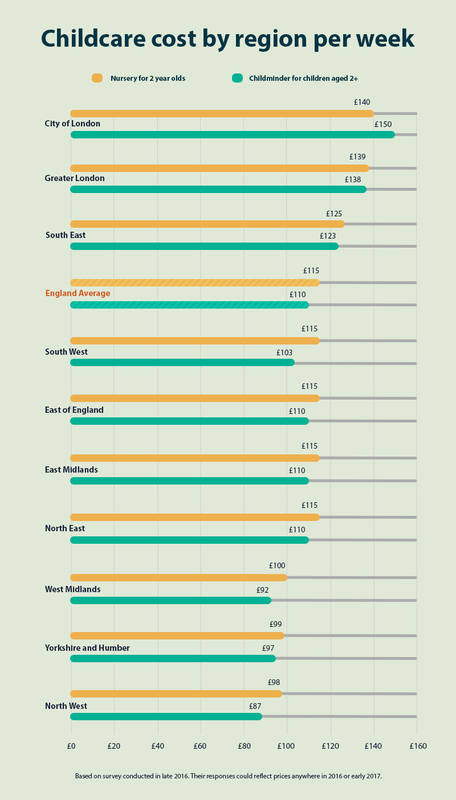 For an under two-year-old, costs range from approximately £101 in the West Midlands to £154 in London. For two-year-olds, this cost drops to £95 in Yorkshire and £141 a week in London. In a recent study, it was found that Brighton was both the happiest city in the UK and had the highest overall life satisfaction. Other happy cities included Leicester, Portsmouth and Newcastle while Edinburgh was the least satisfied UK city with only 15% of those asked describing their life as happy. Going on your first night out in a new city is always exciting. There are a few cities who are known to have the best nightlife, with Sheffield offering the most affordable night out on average and cities like Newcastle and Manchester well known for their reasonably priced clubbing. If pubs are more your thing, the cheapest pint can be found in Yorkshire at £3.31, almost £1 cheaper than the average pint in London. The UK has a vibrant entertainment scene with world-class singers, performers and plays touring the country. 50% of England’s theatre performed in the capital, however, touring productions do visit cities across the UK and most areas are visited almost equally. 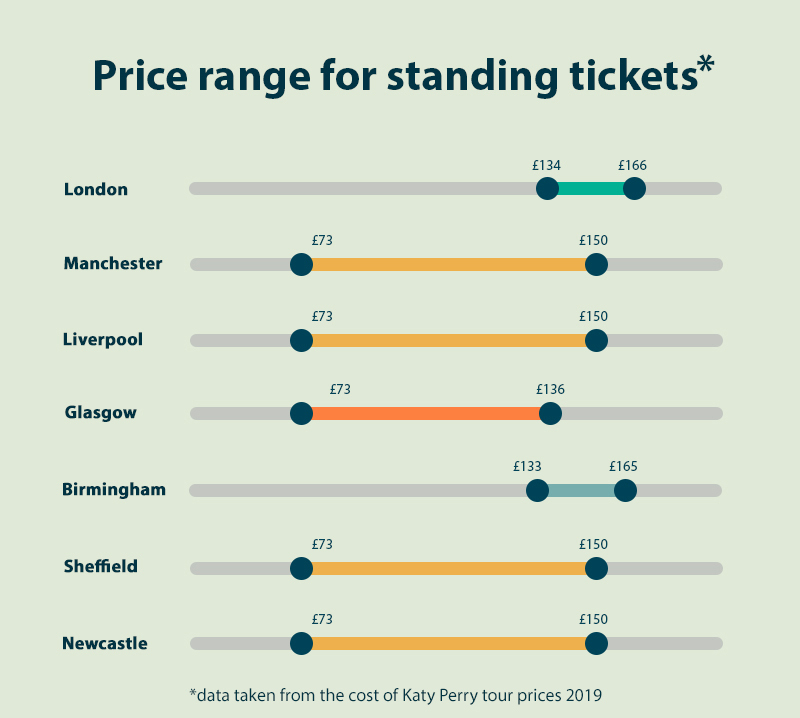 Music tours can also vary in price, as proven by Katy Perry’s latest tour, which saw a massive variety of price ranges depending on location.